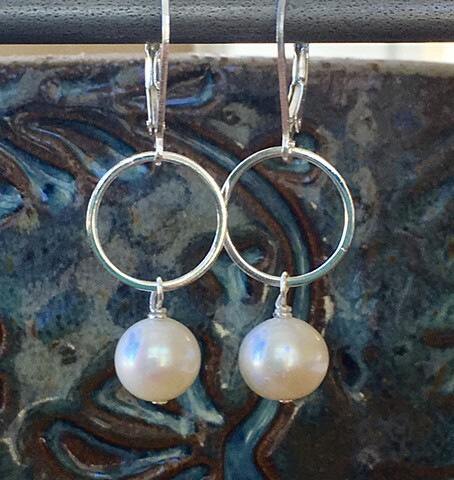 Beautiful fresh water pearls on sterling silver circle with sterling lever back ear wires. Gorgeous for every day or a special occasion. Approx 1 1/4"